Today (May 29) is John F. Kennedy’s birthday. Then tomorrow is Memorial Day. Synchronicity. 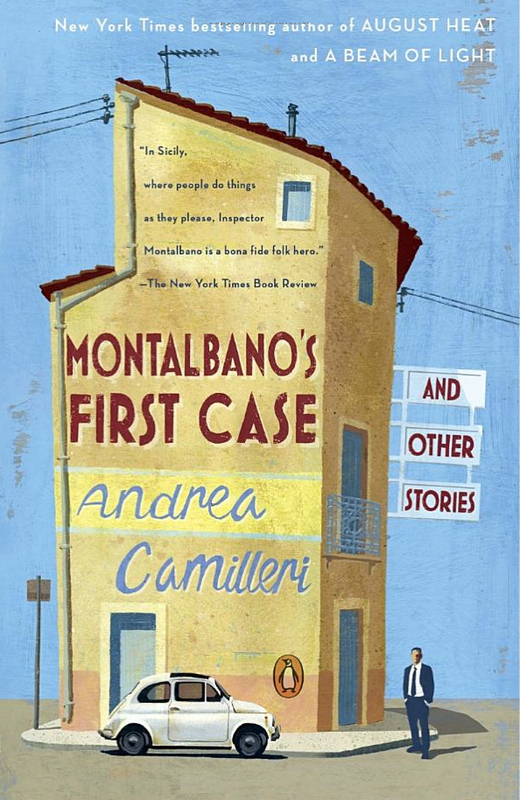 I’m reading Montalbano’s First Case and Other Stories by Andrea Camilleri, which collects 22 stories, one of which, the titular story, is 122 pages, another is 60 pages, the rest more usual short story lengths. I’m about half way through, and I’m absolutely delighted. I’ve read just the first of Camilleri’s Montalbano novels, The Shape of Water, and liked it well enough, but this story collection has me smitten by the author’s wit and the character’s intelligence, intuition and charm. You can be sure I’ll be reading the next novel in the series soon after I finish this collection. Barbara finished Beijing Red by Alex Ryan, a political espionage thriller, and a little off-center of her usual reading tastes, but she liked the way the author wrapped things up and there were interesting characters and a twist or two. 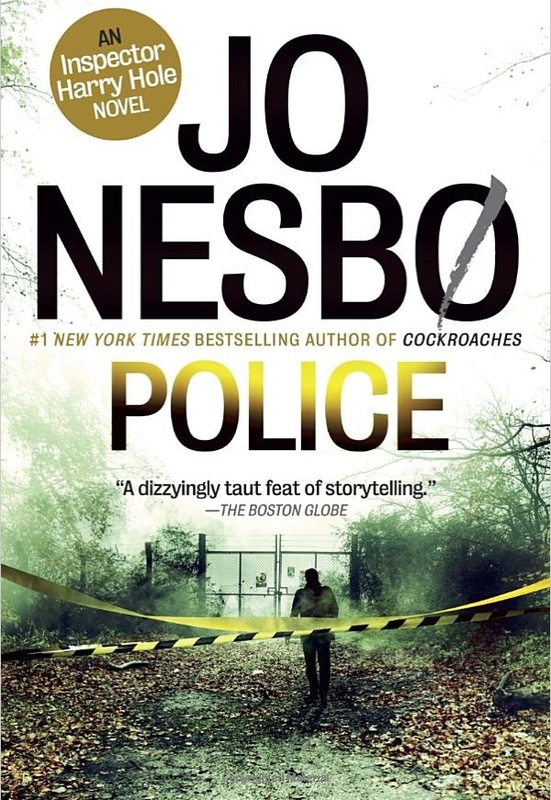 Now she’s reading Police by Jo Nesbo, one of her favorite authors. Nesbo’s books are real page-turners, as Barbara puts it, and she always enjoys them. Currently reading Will Murray’s latest Doc Savage novel, Glare of the Gorgon. It’s about as long as 4 standard Doc adventures from the pulps. I’m very far behind on those, and have stopped buying them until I catch up. Camilleri/Montalbano is splendid. I’d not heard of this collection and must find a copy pronto! Corrected. I got it right in the post, but not the title! Ack! Thanks for the tip. Run, don’t walk, to your nearest book store (or other vendor) and get this one, you’ll love it. By the way, be cautious if you get an ebook. I saw one that only had the title story, not the full contents of this collection. I’m busy reading Big Fat Books. I just finished THE OXFORD BOOK OF FANTASY. That will be my FFB this week. I read one Camilleri/Montalbano novel a few years ago. Time to read another one. George, I suspect the novels get better as the series progresses. I’m certain;y going to read the next one. THE OXFORD BOOK OF FANTASY sounds like the officially approved version of a fantasy collection. Rick, I’m really glad you’re finally seeing the wit and charm of the Montalbano series. I told you! I haven’t read it yet because i’ve had a number of short story collections from the library lately, including two currently, by Loren Estleman (which I just started) and Bill Pronzini (a Nameless collection of two previously published shorts, and two newly written novellas). I usually save the Camilleris for winter in Florida but will read this as soon as I finish the others. This week’s shorts were the previously mentioned anthology, RETURN OF THE DINOSAURS, which you’ve already read, and Tom Piazza’s very good BLUES AND TROUBLE: Twelve Stories. Other books read (this has been a much better reading month for me) were ONCE BURNED by Gerry Boyle (ebook), his first about Maine-based freelance reporter Jack McMorrow in five years (he has a new one just out). A town twenty miles from Jack’s home is suffering a spate of deliberate arsons, leading up to one unintentional death. Closer to home, a baby dies in foster care, and his wife feels guilty because she was the social worker who removed him from his abusive, drug-abusing parents. Lastly there was another you’ve recommended, WOMAN WITH A BLUE PENCIL by Gordon McAlpine, which I really liked a lot. Look back at Rick’s review (January?) for the plot, but this one is highly recommended by me. Current reading. George Easter, in his recap of Seventh Street Books (which published the McAlpine as well as excellent books by Allen Eskens and Adrian McKinty among others, mentioned the intriguing-sounding Bookseller series by Mark Pryor. I downloaded the first from the library and am more than halfway through it, though I am still not sure how much I like it. The title is THE BOOKSELLER and the series character is Hugo Marston, a Texan who is a former FBI agent and currently head of security at the American Embassy in Paris. A “bouquiniste” – one of the booksellers along the Seine – is kidnapped right in front of Marston’s eyes just after selling him two books, and the police are not helpful. I’ll give my final assessment next time, but it certainly moves quickly and the Paris setting is evocative and accurate. Barbara might want to check this one out. The Estleman title I’m reading is DESPERATE DETROIT, by the way. Of course you were right about the Montalbano books, Jeff. I liked the first one well enough, but these shorter pieces seem even better. Could be just the time, mood, etc. Now if Barbara and I could shake this really nasty cold I’d be happy. I’m not interested in reading about kids in foster care, I was too close to that whole dynamic in my job. My pocket review on WOMAN WITH BLUE PENCIL was HERE. Seems I heard something about THE BOOKSELLER but not enough to sway me to try it. This week I read another of John Connolly’s Charlie Parker thrillers, THE WHISPERERS. In this one a group of ex-soldiers are smuggling stolen Iraqi relics and someone is methodically killing them. One of the relics happens to be a box whose contents hold a dangerous secret. As usual for Parker, he finds himself facing some of the cruelest, most vicious killers around and must join forces with another — more feared — killer to survive. A great read but I fear the supernatural/fantasy aspects of the book would put you off. Speaking of supernatural, one of the anthologies I read this week was FROM THE ARCHIVES OF EVIL, NUMBER 2, a paperback original edited by Christopher Lee & Michael Parr, although I question how much of the editing was done by Lee. This one has a dozen horror stories by many of the usual culprits, but also includes unfamiliar stories by Jack London, Henry Slesar, and Massimo Bontempelli (the last a writer I have encountered before). The other anthology I read, DEATH IN DIXIE, edited by Billie Sue Mosiman & Martin H. Greenberg, contains fifteen crime stories , all set in the the various states of American South, and all ranging from good to very good. My graphic novel for the week was AVENGERS: HAWKEYE: EARTH’S MIGHTIEST MARKSMAN, this one containing stories and arcs from the mid- to late-Nineties. Some decent stuff here, but overall…meh. Current reading includes some stories adapted from the Denis Green/Anthony Boucher Sherlock Holmes radio scripts and another Charlie Parker adventure (can’t help it — I’m addicted!). Have a great holiday! Are you and Barbara barbequeing today? We may skip the barbeque, but it does looks like a GAME OF THRONES marathon day for us. Jerry, Barbara loves the Parker books, I have yet to try one. Your current reading sounds cool, The Avengers are usually pretty good. No, no barbecue today, but I’m doing ribs low and slow in the oven, after applying some rub, of course. Plus potato salad (Barbara tried a new recipe this time, so we’ll see), and deviled eggs, apple pie. To extend things, tomorrow it’ll be grilled steaks, white sweet corn on the cob and the rest of that pie. Meat and starch, baby. I keep hearing really good things about Jo Nesbo, can Barbara recommend a good title of his for me to start with? I’m getting good at this e-book buying thing, bought another 99 cent novella Amazon, this time it’s Zoners, by M.H. Mead. I like this series of mystery thrillers because they are quick reads with good pacing, and they take place in and around Detroit, so I recognize the landmarks. I also picked up Central Station, by Lavie Tidhar. the book is presented in a neat way – each chapter is a complete short story with beginning, middle and end, all following different characters who live near the Station. So far I’ve run into nods to Asimov and PDK, and another one that might be a Burroughs reference, but i’m not sure. I run hot and cold with Tidhar, so it’s nice to be enjoying something from him. If you want to read the Harry Hole (Nesbo) series in order, you should start with The Bat. When I discovered his books, I had not researched and jumped in at a different point. No worries, If you like his character, you will go back and read the ones you missed for details. And his books were not translated in order. Go with the original published order, not translation order. I think you may want to jump in with Redbreast, Nemisis or even Snowman. They can be raw but I am hooked, and his writing really draws me into the cases and characters. If you try one, let me know what you think. Have fun. THE BAT and COCKROACHES (the second book) are atypical since they are not set in Norway – the first in Sydney, the second in Bangkok – but they are definitely where I’d start (and did). Jeff, I suggested starting with one set in Norway, but then I didn’t much like THE BAT, which is why I quit a third in. Dang — and I just picked up a copy of it on Saturday! You may like it better than I did, Barbara sure did! I’m also reading some graphic novels about BATGIRL and HARLEY QUINN. Like Jerry’s experience with the Hawkeye graphic novel, I’m feeling “meh” too. Yes, the visuals are great, but there’s not much story. That seems to be the trend today. Sergio, I didn’t notice, I’m afraid to say. I just read ’em as they are and enjoy (or not) based on story, plot, character. All one can ever do Richard – I enjoy them greatly, but I find it hard to overlook the fact that most of the women do tend to be either represented as whores or madonnas and the lack of even one female cop on the team in this day and age is absurd! I really like the way the Penguin symbol is worked into the cover of that first book. Since Tuesday of this week I’ve been reading Neil Gaiman’s new essay collection, The View from the Cheap Seats. I hadn’t read an essay collection in a while and had forgotten just how much I enjoy them. I received Terry Pratchett’s for Christmas and now need to move that up the list. Nice to see you, my friend. That Penguin symbol looks so natural, yes? I don’t read enough essays! Hoping to see a new blog post from you soon. Yes, it does look natural. Very clever. Who is the cover artist?